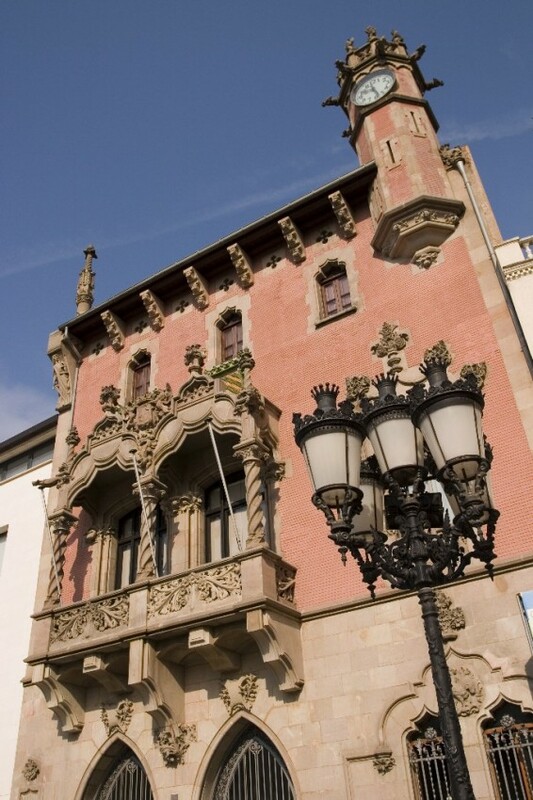 Capital of the Vallès Oriental region, Granollers was one of the towns that still maintained a textile industry at the beginning of the 20th century. 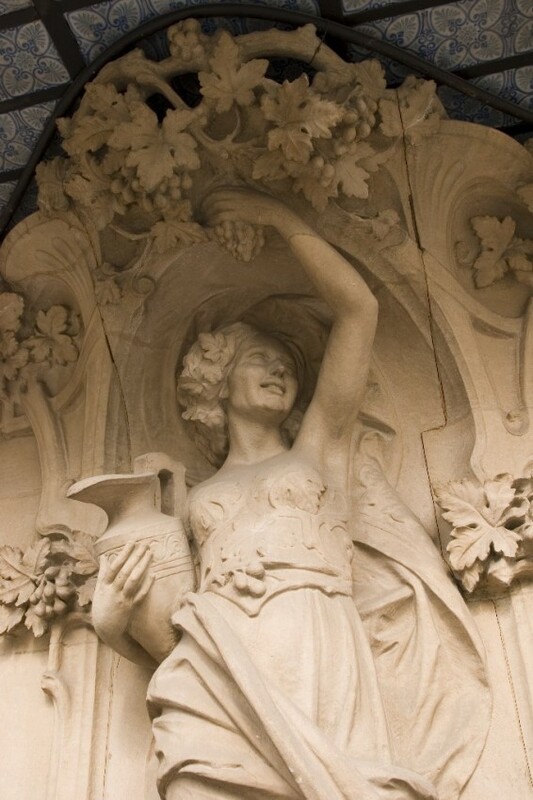 But the importance of Granollers since the Middle Ages has been centred on the trade it has carried out in the celebrated markets held on Thursdays under the arches of the Porxada, a renowned civil construction built between 1586 and 1587. The market attracted people from all over the region and cafés and fondas, or inns, were the meeting points of traders and where many deals were decided. Hence the importance of the Fonda Europa, a place for discussions and political meetings and where the architect Manuel Joaquim Raspall had an open office. The city's commercial growth was also helped by good transport connections, with the new Barcelona-Vic road and the arrival of a train link in 1854. 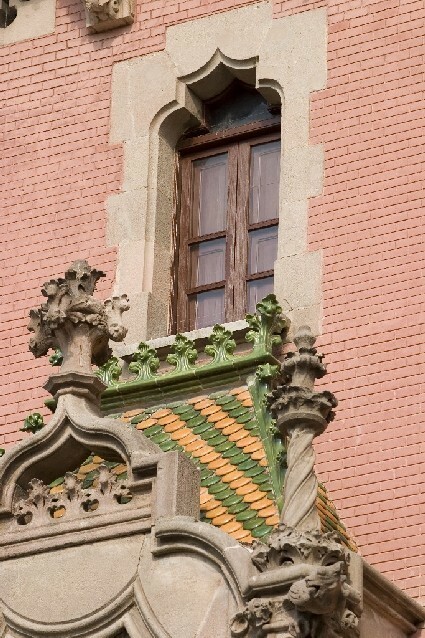 Reforms to the city council, in the Plaça de la Porxada, by the architect Simó Cordomí between 1902 and 1904 is the first work that can be considered Modernista in style, although it clearly has neo-Gothic echoes. Later, in 1907, Raspall was named municipal architect and his links to the town were constant from that moment on. He designed the Casa Clapés in the same year, located at Plaça de la Porxada 14, a striking expression of the new style located right in the centre of the city. It is highlighted by a large window on the upper floor, with an arch recalling Belgian architecture. Raspall's work is documented by the material that has been preserved by Lluís Cuspinera in the municipal archives. Casa Rocaverda de Furnó (1913) is still standing, but urban planning pressures have meant the disappearance of other works, such as Casa Pibernat (1908), Casa Lloret (1911) and Casa Concustell (1913). 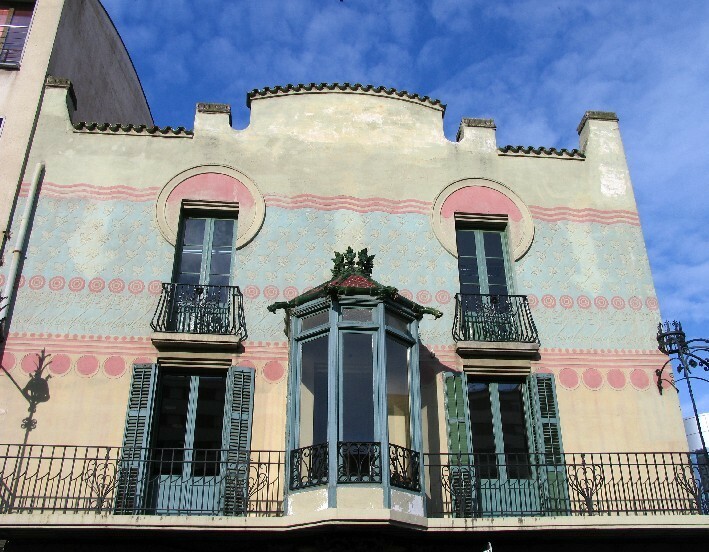 All these houses carried the signature of the Cerdanyola architect E. Balcells, as Raspall could not accept private commissions because of his role as municipal architect. Although it lies outside the time period that we are interested in, it is worth mentioning that Granollers experienced strong growth in the 1920s, a period in which Francesc Torras i Villà was a government representative for the district. Torras initiated important works, such as the remodelling of Plaça de la Corona, based on a project by Raspall between 1926 and 1929, and the remodelling of the former Sant Domènech Hospital into the Francesc Tarafa Library (1926), also designed by Raspall with great care and sensitivity.